Oil on board by Tim Wilson. 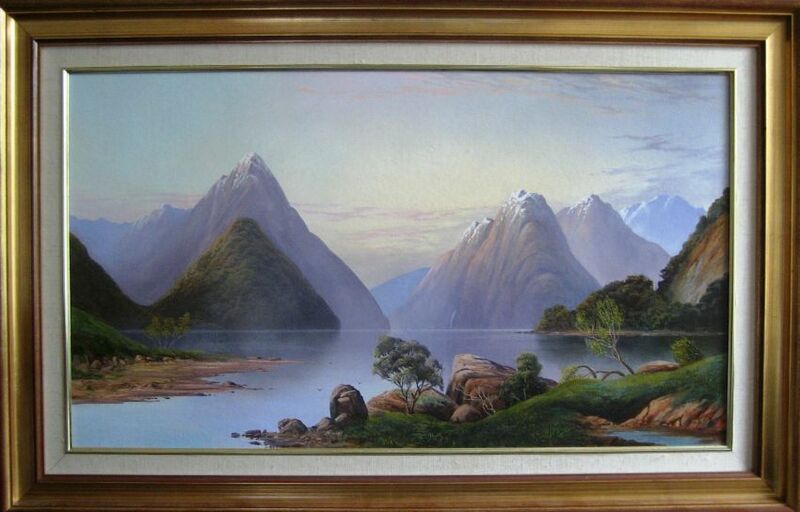 A classic scene of Milford Sound in Fiordland on the West Coast of New Zealand. Probably one of the most painted and photographed places in NZ. Aptly named Sandfly Point in Milford Sound is the end point of the Milford Track, one of nine NZ 'Great Walks'.